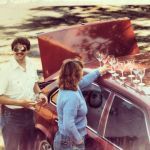 Calling all Wine Clubbers! It's time to pick up your Wine Club allotment, so drop in for some light snacks, live music by Will Bradley, and your curated wine selections. This event is complimentary for all Wine Club Members and one guest. Members may purchase tickets for additional guests. The Tasting Room will be CLOSED to the general public on this day. We apologize for any inconvenience. 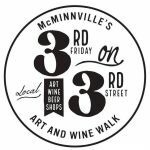 McMinnville's 3rd Friday on 3rd Street!Join Yamhill Valley Vineyards at Yamhill Valley Dry Goods!April 19, 20194:00-8:00 p.m. | $10 per personCheck in at Hotel Oregon to receive 5 taste tickets, a commemorative glass, a wine bag, and a map of the event.This is a self-guided tour so stroll, sip, explore and enjoy Historic Downtown McMinnville at your own pace. Happy Independence Day! Have a Safe Holiday.